San Diego, CA, August 24, 2017 — AUGUST 24, 2017 (SAN DIEGO, CA) – Balboa Park changes the game on “unlucky” number 13 with its annual Explorer Pass: pay for a 12-month membership and get a 13th month free! And, sign up by September 30, 2017 and receive FREE admission to Maker Faire San Diego, the Park’s annual celebration of innovative technology, education, arts, crafts, engineering, food and sustainability. Explorer Experiences—exclusive events, behind-the-scenes access, tours, and more! FREE admission to Maker Faire San Diego and discounts on future events. Customized newsletters and personal recommendations directly from Park staff. NEW: discounted rides on the Electriquette drivable wicker carts. With purchase of the Balboa Park Explorer Annual Family Pass, receive free admission to the entire weekend of Maker Faire San Diego, a value of $168 for a family of six. Now in its third year, Maker Faire San Diego is a unique, family-friendly event for innovative, imaginative do-it-yourselfers who like to tinker and love to create, and also for those curious minds who want to see what new and cutting-edge possibilities are just around the corner. The Balboa Park Explorer Annual Pass provides general admission to 16 museums in Balboa Park, with discounts for families, seniors and students, and no blackout dates,* starting at just $99. In addition to exclusive Explorer-only events monthly, Explorer Annual passholders also receive tailored, bi-weekly newsletters, up-to-date special announcements and personal recommendations and insights directly from Park staff. 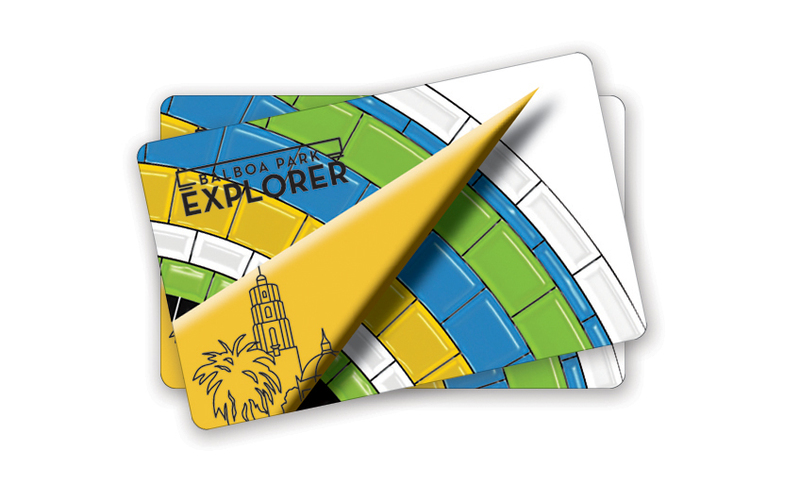 Explorer Annual, One-Day or Multi-Day passes are available for purchase online at Explorer.BalboaPark.org. The Explorer Pass directly funds participating museums in Balboa Park. Visit us at Facebook.com/ExploreBalboaPark, Instagram.com/ExploreBalboaPark, and Twitter.com/ExploreBP. *Pass must be used within one year of purchase. Not valid for select events, special exhibitions, programs and IMAX. Before visiting a museum, please contact the museum for information on additional events, special exhibitions, and film costs.